This vintage shade is paired with a vintage holder. drop height is 22". It can be shortened to 12.5" or made longer. Shade is 15" wide. 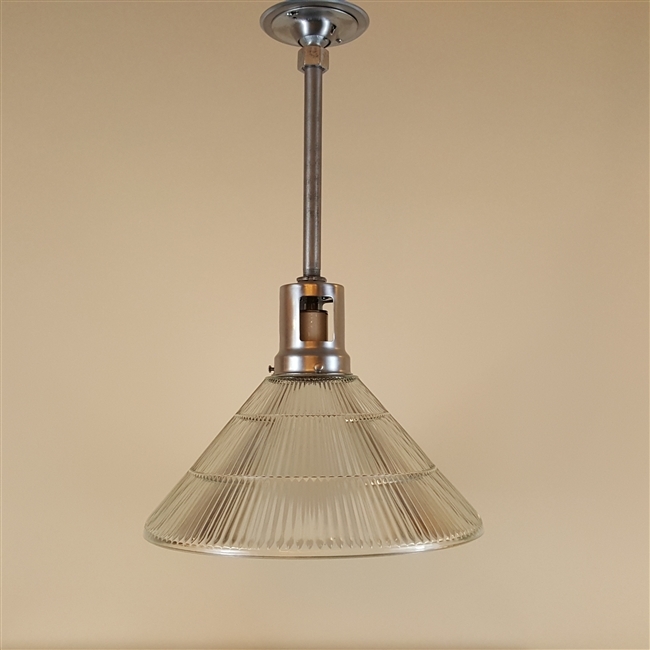 Vintage Ornate Dinolier from The Lightolier Company Vintage Spring Clip Shade on New Hardware Early Electric Hybrid Billiard Early Four Light Arts and Crafts Chandelier.